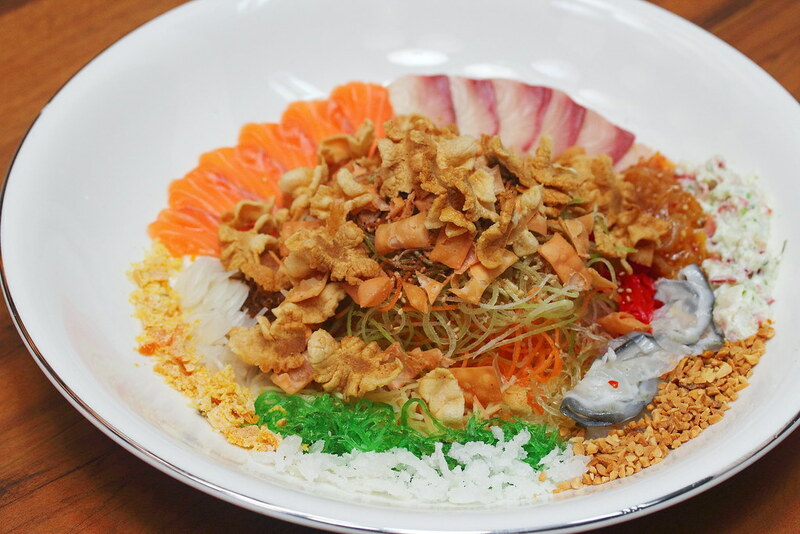 To celebrate the upcoming Lunar New Year, Tamashii Robataya has rolled up three different Truffle infused Yusheng (Salmon Skin, Salmon + Yellowtail, Japanese Abalone) for dine-in and takeaway. We tried the Salmon + Yellowtail Truffle Infused Yusheng ($68 for 5pax) which comprises of sashimi graded salmon and yellowtail, crunchy salmon soft skull, jelly fish, clam, golden nugget made from crab stock and dressed in truffle, plum and japan vinegar sauce. A large portion which is good for up to 10 pax is also available at $98. Do note that the last day of collection for the Yusheng takeaway is 27 Jan 2017. 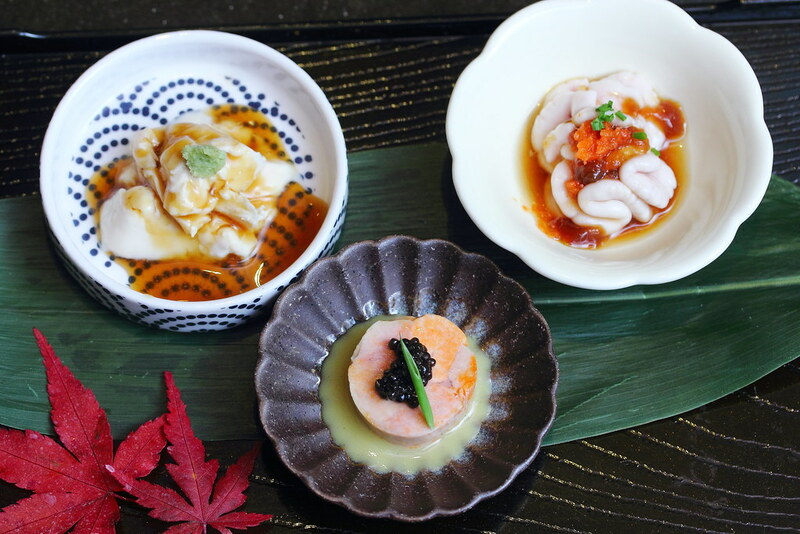 A visit to Tamashii Robataya is not complete without experiencing their omakase menu that showcases the seasonal produces. We had the $168 omakase set which started with a trio of appetisers. On the left is the Beancurd Skin, followed by Monk Fish Liver with Caviar and vinaigrette miso and lastly the exotic Fish Sperm. 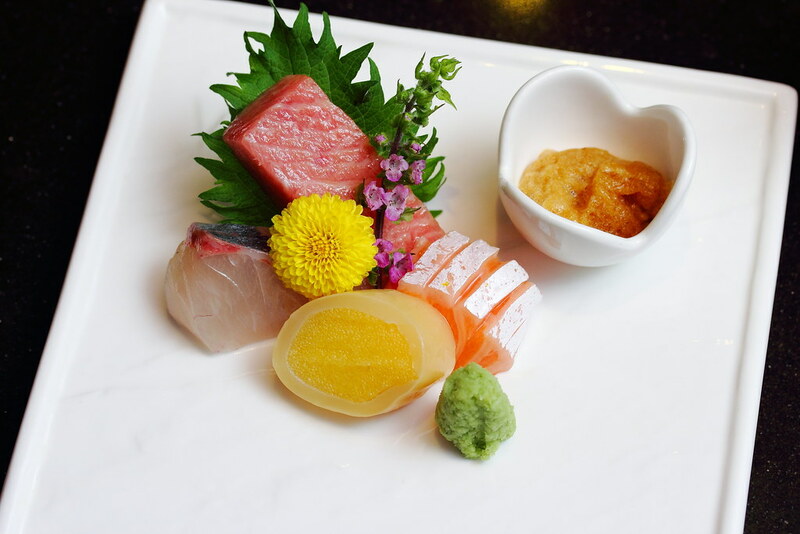 Our next course is the Sashimi Platter which considers of Salmon Belly, Toro, Hamachi and Squid with Herring Fish Roes. The freshness of the seafood is best to pair with the homemade dipping sauce that is made up of soy sauce and miso, for an elevated enjoyment. The next dish showcases the in-season Shrimp Yam. This is the first time I am having this variety of yam. 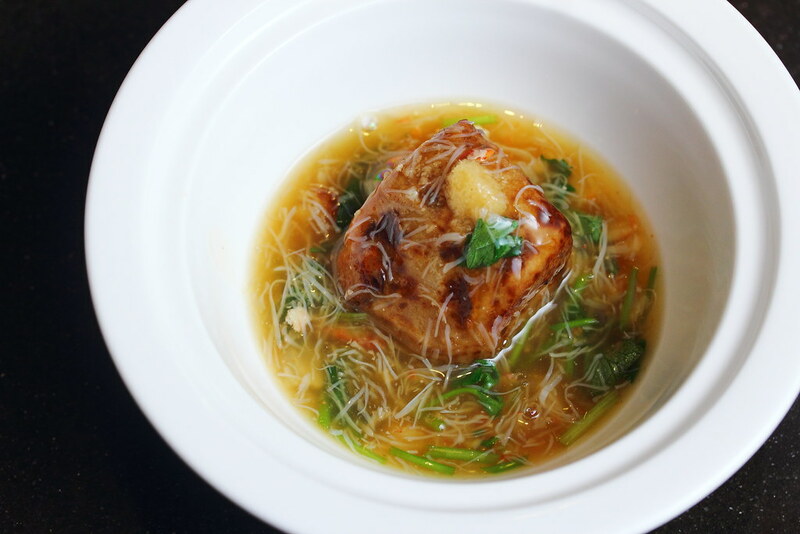 The sweetness of the yam is complemented by the savoury crabmeat broth for an unique combination which is pleasing to the palate. Moving on we had the Abalone with Green Pepper. 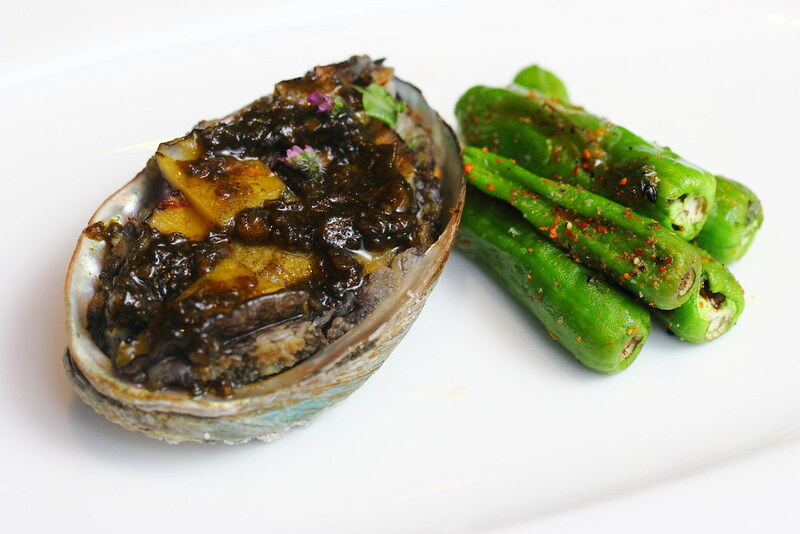 The abalone was grilled together with the abalone liver sauce, giving it a rich coat of flavours on top of the bouncy texture. A rare ingredient is the Japanese green pepper which is not spicy at all. The crunchy texture is similar to lady finger minus the slimy part. 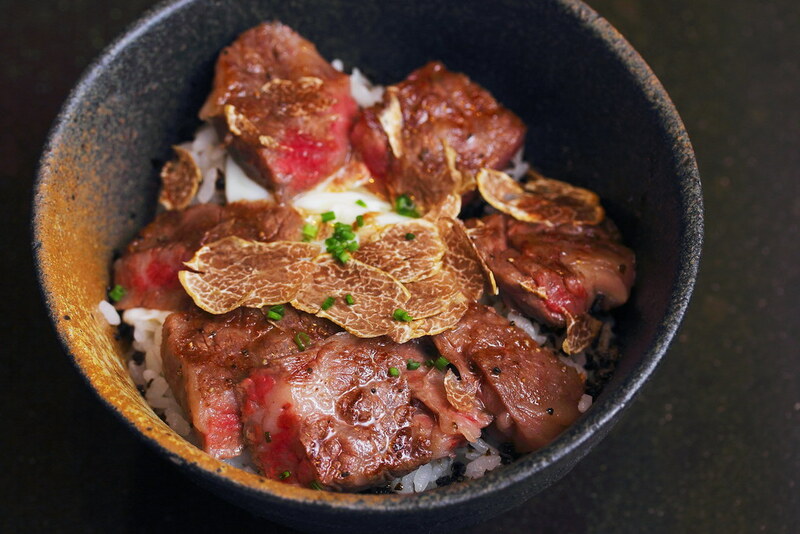 A must try at Tamashii Robataya is the Sage Gyu Don with Truffle. It is one of the best beef bowl I have ever eaten. As white truffle was in season, I was lucky to get some shavings of it to go with my rice. It even comes with an onsen egg. 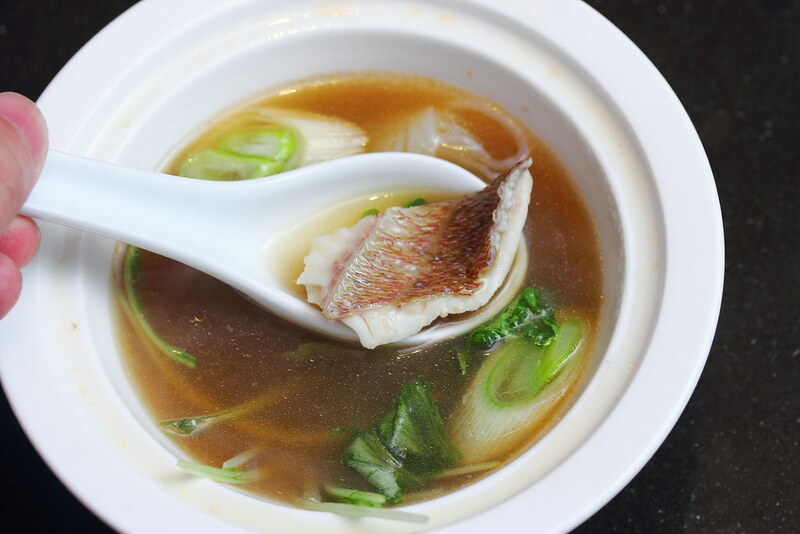 It is timely to serve the Sea Brim Soup before dessert to wash down all the rich greasiness and cleanse the palate.The long hours of boiling the sea brim's fish head and bone gave the soup its sweetness and richness. It also comes with carrot with leek. The perfect ending of the dinner is the Mochi at Tamashii. Unlike the chewy type, the mochi here is the soft type, like rain drop. 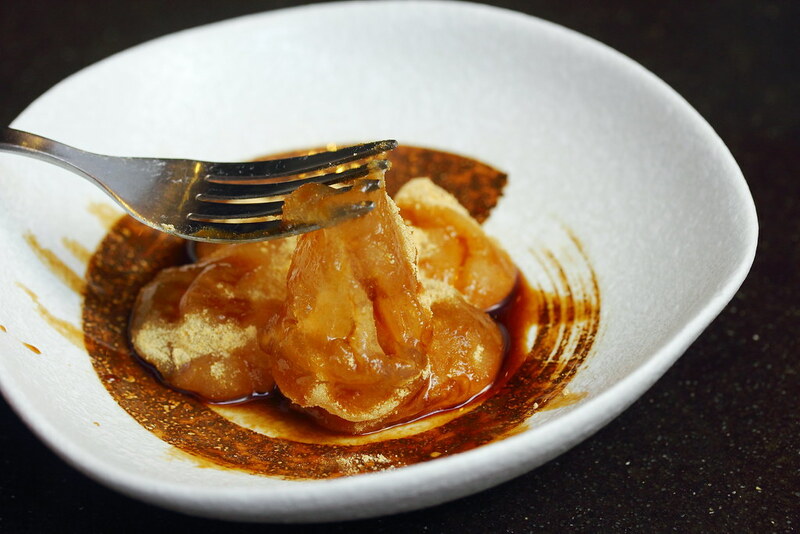 Once you tried it, you probably would not want to have mochi elsewhere.